Finish: Plain, Black, Zp, Zy, Hot DIP Galvanizing, etc. Specification: ASTM, DIN, ANSI, ISO etc. 3. Material: Carbon, alloy, stainless, brass, etc. 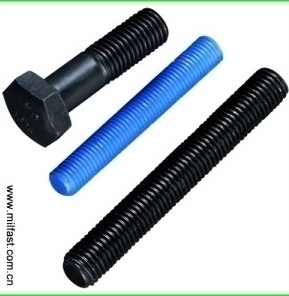 The specification of ASTM A193 Stud Bolts covers alloy steel and stainless steel bolting material for high-temperature service.